Fox Chase Cancer Center unveiled a new bench dedicated to Jim Toska, a former employee who passed away in 2015 shortly after being diagnosed with pancreatic cancer. Before last week, Felicia Toska had never wanted to return to her husband’s workplace. 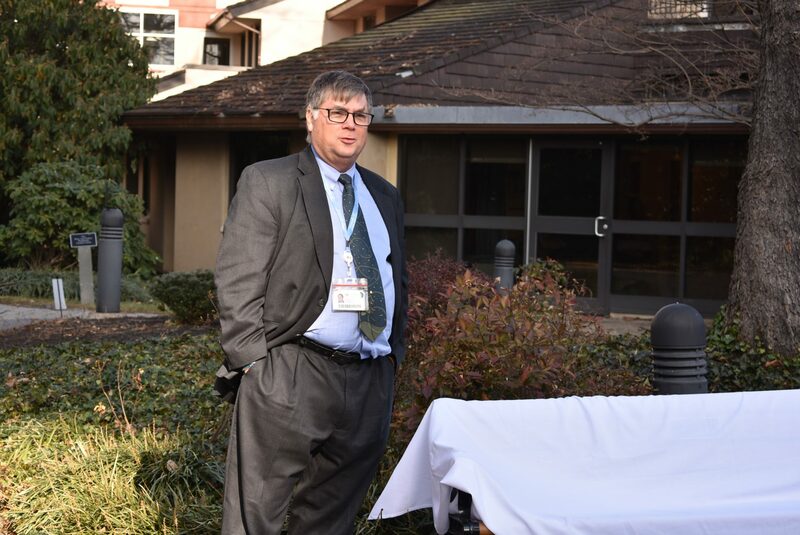 Jim Toska had worked at the Fox Chase Cancer Center for about 30 years, starting as a housekeeper and working his way up to become an information technology specialist. The Lawncrest native’s personality made him known and beloved by many of his co-workers. Toska passed away in October 2015, just three weeks after being diagnosed with stage IV pancreatic cancer at age 50. He spent his final few weeks receiving care at the Fox Chase Cancer Center. The last time Felicia and her and Jim’s daughter, Amanda, were at the hospital was when Jim passed away. “My daughter and I didn’t ever want to come back here,” she said. But last week gave them a good reason to return. Many of Jim’s old co-workers joined Felicia and Amanda in the Young Pavilion to unveil a new bench dedicated in his name. Calling Jim’s co-workers his second family, people whom Felicia hadn’t seen for three years arrived at the ceremony. Felicia said she had to stay active to help process her grief. She started the Power of Purple, a day at Amanda’s school C.C.A. Baldi Middle School where students and businesses helped raise money for pancreatic cancer research. On the first Power of Purple Day in 2016, they raised $1,500 for the Fox Chase Cancer Center. Many employees reached out to Felicia and said they wanted something at the hospital to remember him. He had a small plaque on the tree of life, but Felicia wanted more. “I told them it wasn’t enough,” she said with a laugh. Benches are usually reserved for those who submit large donations, but because of Jim’s reputation at the hospital, they wanted to give him one. Felicia hopes to continue Power of Purple at Amanda’s new high school, and said she is considering setting up a small scholarship in his name for seniors who participate in some sort of community project. “As far as his name being tied in with raising money, I’m still going to continue to do it for as long as I’m possibly able to,” Felicia said. 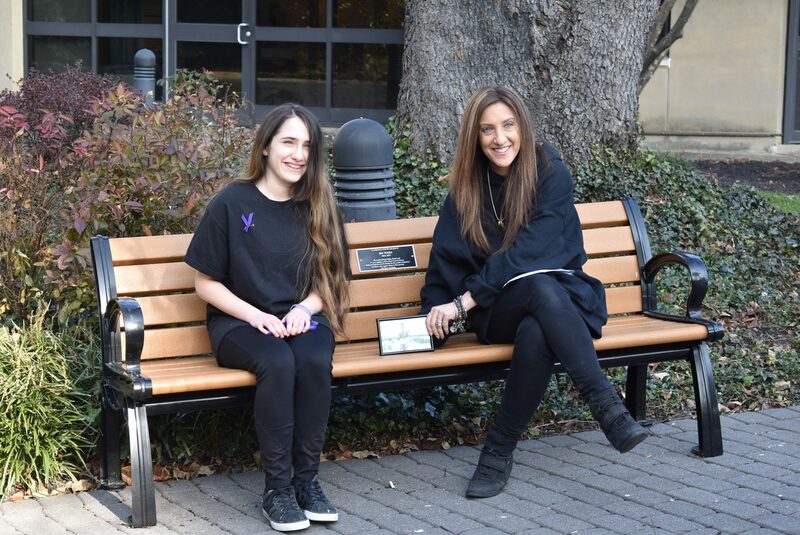 After unveiling the bench, Felicia and Amanda were the first people to take a seat.